Per the Tampa Bay Times, the spectator injured by a flying chunk of aero kit at the IndyCar Grand Prix of St. Petersburg has filed a lawsuit against the series, race owner/operator Green Savoree, and the manufacturer of the fence around the track for damages in excess of $15,000. Negligence led to a head injury, the suit says. While many tickets for auto racing events have a release of sorts that remind spectators that they are at a potentially dangerous event, the suit alleges several different types of negligence by the various parties named. Brigitte Hofstetter was standing in a concessions area with her husband Gregory when she was struck by a piece of IndyCar’s new aero kits, causing a depressed skull fracture. 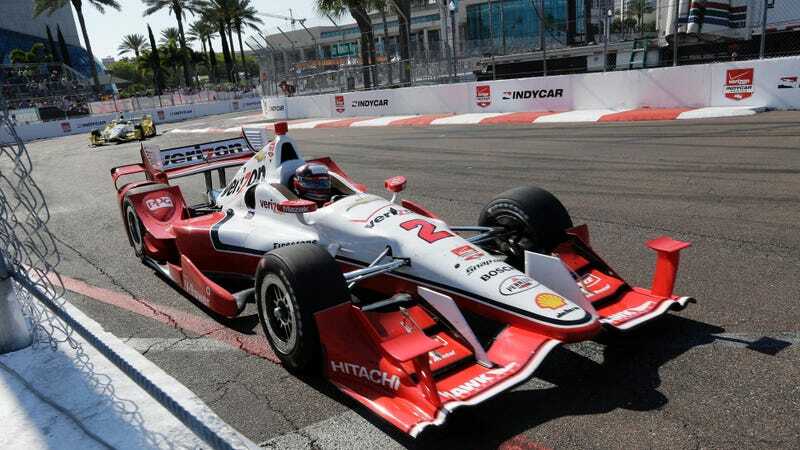 The aero kits have added another aspect to the competition in IndyCar by introducing hundreds of new pieces to configure ahead of a race weekend, however, they tend to make a huge mess when they get hit. IndyCar added additional restraints on some pieces to prevent debris-addled events like St. Petersburg from happening again, but that was after Hofstetter’s injury. Grand Prix of St. Petersburg owner and operator Green Savoree is named in the suit as well. The suit alleges that both the series and race promoters did not sufficiently warn spectators of the danger. There was an early caution for the debris, but according to the suit, this was not enough to make sure spectators were aware of the possible projectiles like the one that soared over the fence and hit Hofstetter. Likewise, Smith Fence provided the barriers around the track, so they are also named in the suit for not providing adequate protection for spectators. Per the Tampa Bay Times, the suit is seeking damages for pain, suffering and loss of consortium from the injury, which will go to a jury trial. The Hofstetters’ attorneys announced that they will probably sue the City of St. Petersburg as well, but that suit has not surfaced yet. While it was promising to see IndyCar act so quickly to shore up the body kits so that a similar accident was less likely to happen in the future, it will be interesting to see if any spectator releases that may have been in effect for the Grand Prix of St. Petersburg covered them legally for this unexpected injury. Regardless of the outcome, as with any injury from a race event, we hope that Hofstetter has a quick recovery and that her life returns to normal soon.